To celebrate the launch of Aphotic Realms second issue; Banished I 'm talking to William Marchese one of the many uber talented authors featured in this magazine. 1) Thanks Will for joining us, tell me how long have you been writing for? As far back as elementary school, when I wrote a story about a dragon that only came around every so-many-odd years. I don't remember all of the details. When assigned this project I got excited, thinking I was going to go "Spielberg" on it. And after the stories were read, at the end classmates were coming up to me with serious faces, saying "That was good, man," and “toy 1I" asked if they were joking, to which they insisted they weren't. I wasn't a popular kid. It was a Twilight Zone moment, but looking back I realized that was the moment. I've been writing for years, though haven't aggressively submitted and pushed my name out there through blog or social media since about two years ago. I had finished a Novel that I’m now currently editing--Safe Place. And maybe three or four years ago I completed a second novel titled Tombstone. 3) What draws you to horror? Can you remember the first horror book or film that you read/saw? Horror is the genre most real to me. The feel and spirit of it when done right just can't be surpassed. It doesn't paint a rosy picture about life, a sugar-coated layer that protects you from reality. When it needs to, it jams a blade into your hip. Yeah, the other genre choices are great, too. Especially for different moods. But I keep coming back to horror. As far back as I can remember, I'd have to say A Nightmare on Elm Street is one of my first horror movies. And book--even though I read a few back as a kid that were skip-to-page (whatever they're called)--I would have to say Pet Semetery, by Stephen King. I had found my mother's horror collection and that was the first I went to. 4) Have you any upcoming projects? I am, as of writing this, finishing off a short titled The Cat. And have a draft of one I'm working on for a Christmas Anthology. On top of these, I'm also editing the first of two novels I wrote to start subbing to agents. I hope to start for the new year. But that depends on the day job, life and other projects. 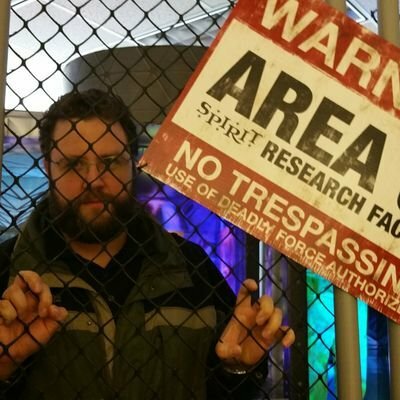 I also co-host the Deadman's Tome podcast and occasionally edit for the DT anthologies. Little secret, I did the cover for the Christmas Cthulhu DTanthology. 5) Would you say science fiction influences your horror writing? Science fiction, good sci-fi, has definitely influenced me. Not only books, but movies like Aliens and games like Dead Space which have great stories--and horror aspects to them. Another great sci-fi story was Stephen King's The Tommyknockers. It had the real life aspect to it, the this can really happen factor. 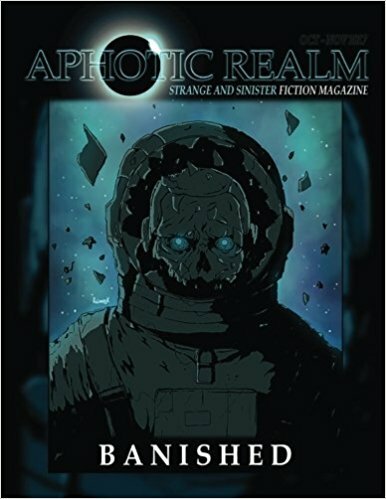 My story Daddy, in Unnerving issue #3, had a Lovecraft sort of sprinkle in there, and so did my story Upon Reflection, in Aphotic Realm Banished. 6) How did Upon Reflections come about? I came about writing Upon reflection around the time I finished Daddy for Unnerving Magazine. I liked the world and wondered what would happen after. Sort of a sequel that isn't a sequel (if that makes sense.) The boy is unknowingly forced into an experiment by his father. There's little twist at the end.